Here’s Why I’m Ditching Toxic Clothing. I never realized just how many of my clothes were toxic. In fact, I’d never given much thought to what my clothes were made of. I was more concerned about the price and style. After finding out that mattresses are full of toxic chemicals, I realized that many of these same chemicals—namely polyester—actually constituted the majority of my closet. 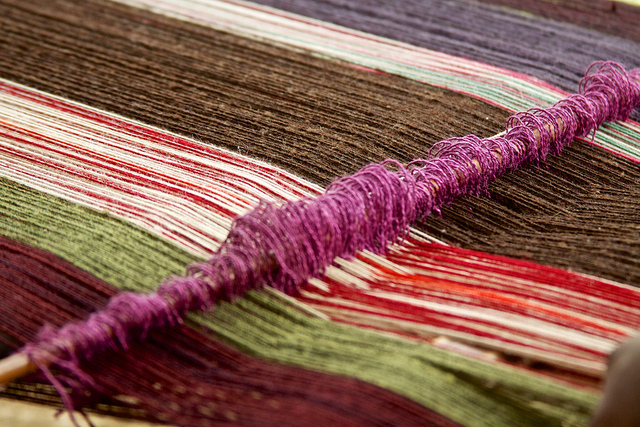 Here’s how it works: Natural fibers like cotton, hemp, and wool are expensive. Synthetic fibers like polyester, nylon, and spandex are cheaper. Why would we ever buy a $90 organic cotton shirt when we could buy a $5 polyester one? Synthetic fibers are treated with formaldehyde and flame retardants. News flash: polyester, nylon, acrylic, and spandex are all petroleum-based fibers. What this means is that petroleum, coal, and natural gas are used to make these fibers, which are essentially plastics. Since these clothes are made from highly flammable petroleum products, manufacturers are required to treat the clothing with toxic chemicals such flame retardants in order to prevent flammability. Most of these chemicals are carcinogenic and all of them are toxic to humans and the planet. These clothes are also treated with formaldehyde to prevent wrinkling and keep them resistant to stains. Formaldehyde is a known human carcinogen. Even cotton and polyester blended clothing still needs to be treated. Fabrics such as rayon (made from wood pulp) that are seemingly natural are also treated with formaldehyde as well. These clothes don’t last as long and pollute the earth in landfills. Cheaper clothing just doesn’t age well. We’ve seen how those new Under Armour clothes look like they’re ancient after a couple of years. Then, upon throwing these clothes away, they end up in landfills, where their plastic-like composition and toxic chemicals continue to pollute the earth. What’s worse is that since these clothes are so cheap, we tend to buy more of them since we can afford it. This leads to increased consumption of toxic products which creates a demand for increased production. Your closet is filling up with cute, cheap, toxic clothes while chemical production increases and our planet suffers. Many are made in sweatshops that promote unsafe working conditions. While some clothes made from synthetic fibers are dirt cheap, others are expensive. Think of Under Armour, Nike, and Victoria’s Secret to name a few. Clothing companies save money by outsourcing their manufacturing to foreign countries like China, Sri Lanka, Cambodia, Bangladesh, and Vietnam. Many workers in these sweatshops are children and are paid mere cents for their labor. Legal workers at sweatshops often work 14-16 hour days at this rate. Huge clothing companies take advantage of this and then charge much more for their product. We pay $49.50 for a pair of Victoria’s Secret sweatpants. If the workers are only paid a few dollars, where is the rest of that money going? You guessed it—to the corporation. Organic clothes feel sexier and look better. My search for natural, organic fabrics was more difficult than I anticipated. It seemed that everything had some type of synthetic fabric in it—or it was just plain cotton. Cotton is one of the biggest users of pesticides and accounts for up to 75 percent of pesticide residue on the planet. This was why I chose to go organic. When I did finally find a totally natural, locally-produced clothing company through Etsy, I was pretty excited. When I got my first order, I was amazed at how different the fabric was. Durable, soft, yet elegant—these clothes are amazing. They just feel sexier and look better than their plastic counterparts. Supporting local, handmade clothing feels pretty good, too! Organic clothing is an investment. So let’s get rid of the hordes of cheap crap we never wear and replace them with a few gorgeous pieces we really love. Yes, organic, natural clothing is way more expensive. By getting rid of items we never use or wear, we can clean out our closets and put the money toward better choices. Expect to pay anywhere from $40-$200 per piece, depending on the item. Scarves are in the $40 range while elegant dresses can get up closer to $200. But, organic clothing is a wonderful investment. Instead of buying trendy, we can buy timeless. We can choose items that inspire us that we’ll love and use again and again. Make wise color choices that go with everything! Making such a large purchase while cutting back on unused, cheap, and toxic clothing items can be terrifying but liberating. Getting rid of clothes we’re emotionally attached to can be hard. We need to remember that our clothes do not define us, but our clothing choices do make an impact on the planet. I sold whatever items I could (brand names sell great on eBay) and donated the rest. I invested in high-quality, locally made items (many from Gaia Conceptions). I chose to have just a few pieces that I use regularly rather than a closet full of toxic items that I never wear. Handmade clothes are nicer but different from what we’re used to. These clothing companies are often small, local, and can’t afford to offer us huge discounts. Expect to pay what they’re asking and to see only 10 percent discounts, not 50-75 percent. We can also expect that our handmade clothes will take longer to make. Forget about free two-day shipping from Victoria’s Secret—it could take up to a month to make and then ship these items. Finding out that I was wearing chemicals every day was shocking, but my journey to get rid of toxic clothing and cut down on unnecessary items has been amazing. With a new minimalistic wardrobe, I’m ready to shine in every season with totally natural fibers, plant dyes, and some local love. Let’s show the planet some love by making better clothing choices! Jenn Ryan is a freelance writer who’s passionate about natural health. After being diagnosed with an autoimmune disease at the age of 16 which had her on chemotherapy for nearly five years, Jenn found out that she just had a gluten intolerance that was causing all her symptoms. 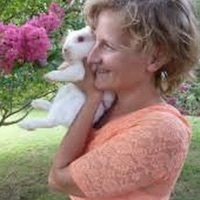 Today she remains in great health and loves running, reading, and playing with her five rescued rabbits. You can find out more about Jenn and her work at her website.